1897, Indiana Fresh from seminary, Amos Lowry believes marriage will prove to his skeptical congregation that he’s mature. 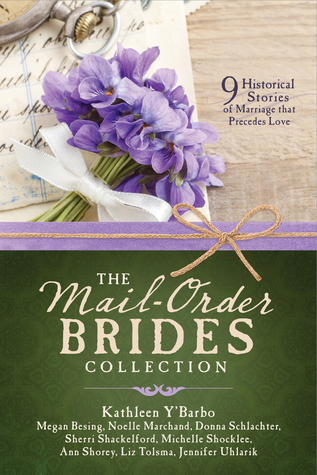 If only his mail-order bride wasn’t an ex-saloon girl, or worse, pregnant. Amos finally figured out how to be a good fiancé. He’d just skip it. “I think we’re going to move up the wedding.” His folks would be disappointed to miss their eldest son’s wedding, but the way Sophie leaned into him during their parting last evening, he was confident she wouldn’t oppose the idea. Momma hog dipped her snout into the water, and air bubbles filled the trough. She lifted her head with a more encouraging expression than William’s. If only Margaret would let Amos and Sophie get a word in to each other during dinner. Discussing flowers and lace and cakes wasn’t particularly helpful in establishing a relationship. 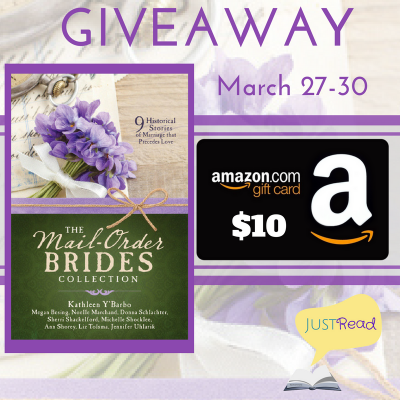 Megan Besing is giving away a print copy of The Mail-Order Brides Collection and a $10 Amazon Gift Card to one winner! Void where prohibited by law. Enter via the Rafflecopter below. Giveaway is subject to the policies found here.